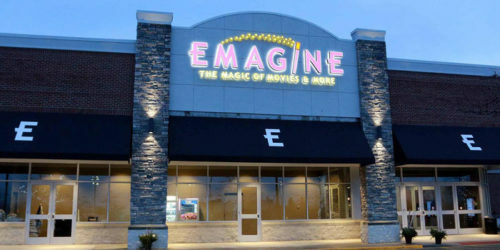 Emagine Macomb is located on 23 Mile Road east of Hayes Road next to Kroger on 15251 23 Mile Road, Macomb, MI 48042. Luxury Seating – At Emagine Macomb, all of our seats are luxury tan leather power recliners to ensure that our guests are as comfortable as possible. Reserve your seat – We offer our patrons 100% reserved seating. Purchase your ticket online, reserve your seat, and you’re set for your show. Stadium Seating – All 9 of our theatre rooms feature stadium seating, which means you have the best and most comfortable movie watching experience. Dolby Atmos EMAX Theatre – This is our largest screen stretching from wall-to-wall and ceiling-to-floor. This special theatre experience also has surround sound for excellent sound effects! Cafeteria Style Concessions – We have all your favorite movie concessions plus gourmet new options like build your own pizza and a nacho station.